Code Three Fire and Safety is the best source for residential, industrial, and commercial fire protection services in the North Bay and East Bay region. 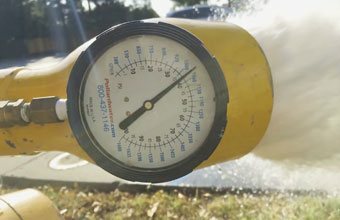 We specialize in fire extinguishers, commercial fire suppression systems, fire sprinkler systems, fire hydrant testing, and hydrostatic testing, and provide these services throughout Fairfield, Suisun City, Vacaville, Napa, Concord, Antioch, Vallejo, Pinole, Rio Vista, and surrounding cities. We have nearly 25 years of experience and a reputation amongst our thousands of satisfied clients for offering reliable, premium-quality fire protection services at fair and competitive prices. There are few fire protection contractors serving the local area that are as committed to safety and service as we are. We hold an active C-16 Fire Protection Contractor license and a license from the State Fire Marshal to test and maintain fire extinguishing systems. We're members of the California State Firefighters' Association (CSFA), National Fire Protection Association (NFPA), and California Fire Chief's Northern Division, which keeps us current on all of the fire protection industry's newest standards and best practices. And, we're a certified distributor for many leading brands, including Amerex, Ansul, and Pyro-Chem. Because most of our staff volunteers for a local fire authority, we know first hand what can happen when a fire gets out of control. As a result, we believe that everyone should know what to do in the event of a fire. That's why we include on-site fire safety and prevention training as well as hands-on fire extinguisher demonstrations with all of our services at no additional cost. At Code Three Fire and Safety, everyone on our staff has between 15 and 30 years of experience, has passed extensive clearance and background checks, and receives ongoing training. Additionally, because we keep our staff happy, we have virtually no turnover. By having dedicated technicians who can provide consistent service to the same accounts year after year, we are able to give our clients a higher quality of service. Our techs become very familiar with the accounts they maintain and often know the location of each building's fire extinguishers better than the on-site property managers. We are known amongst our clients for being extremely knowledgeable, dependable, and thorough, which are three of the most important characteristics one should look for in a fire protection company. Code Three Free and Safety sells, inspects, maintains, and repairs all types of fire extinguishers, including ABC, BC, Purple K, Plus 50C, K Class, Type D, Halon 1211, CO2, and water. 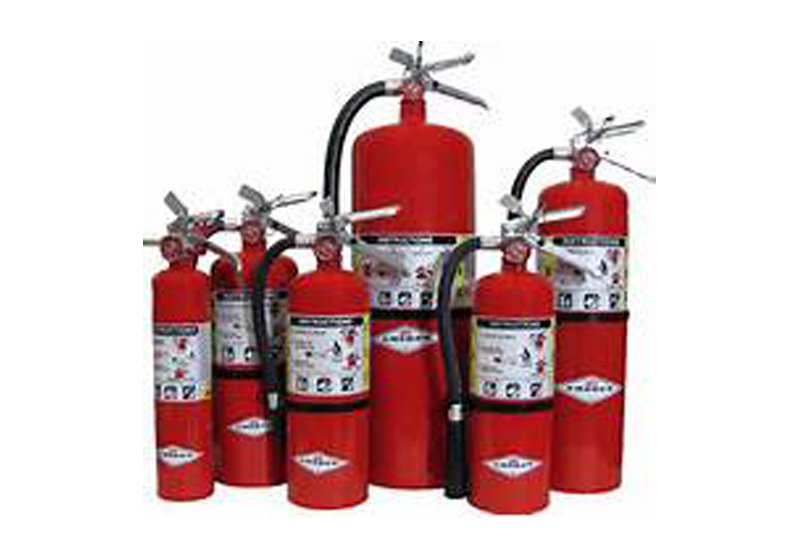 We are a certified distributor for Amerex, Ansul, Pyro-Chem, and other leading brands, and maintain a large inventory of portable fire extinguishers, wheeled fire extinguishers, replacement nozzles and brackets, cabinets, and more. Additionally, we can promptly special order anything we don't readily have in stock. We offer very affordable annual and six-year fire extinguisher inspections, and can provide off-site hydrostatic testing. Call today to learn more. 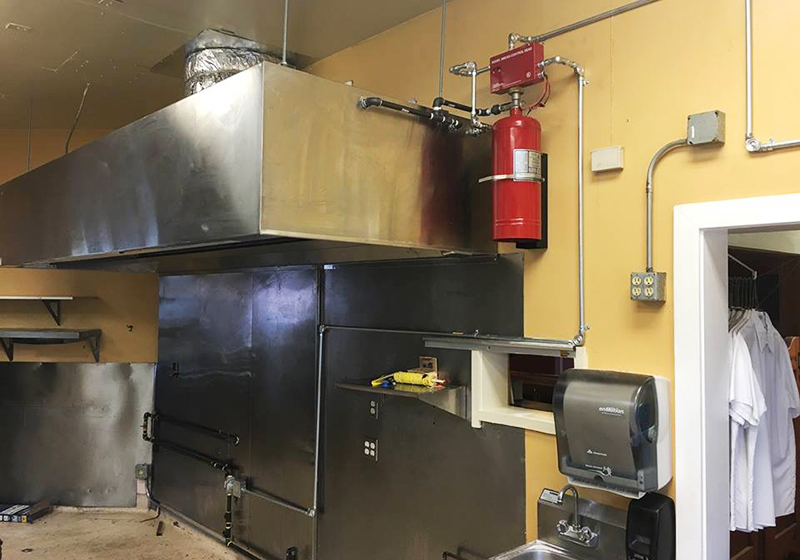 As a licensed fire protection contractor, we're fully qualified to custom design, install, and modify fire suppression systems for commercial kitchens and restaurants. 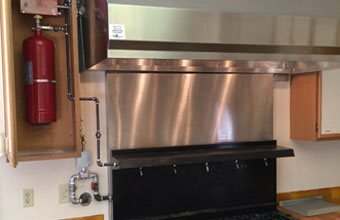 Our fire suppression systems are carefully engineered to comply with today's fire codes and provide maximum protection in the event of a kitchen fire. In addition, our technicians are available to provide semi-annual fire suppression system inspections and 24/7 emergency response to restart your system after its been discharged. Code Three Fire & Safety provides fire sprinkler system inspection, testing, maintenance, repair, and recharging services throughout Fairfield, Suisun City, Vacaville, Napa, Concord, Antioch, Vallejo, Pinole, and surrounding cities. 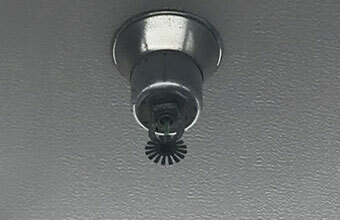 Fire sprinkler inspections are typically required on a quarterly, annual, and fire-year basis. Our technicians are qualified to maintain and repair all brands of fire sprinkler systems and provide emergency recharging services throughout Fairfield, Suisun City, Vacaville, Napa, Concord, Antioch, Vallejo, Pinole, Rio Vista, and surrounding communities. Call Code Three Fire & Safety to schedule fire extinguisher, fire suppression system, fire sprinkler system, or fire hydrant testing, inspection, maintenance, or repairs. If you are interested in installing, modifying, or upgrading a fire suppression system, you can request a free on-site consultation. Our normal business hours are 8am to 5pm, Monday through Friday. If your apartment complex, restaurant, or business has had an incident that caused your fire sprinklers or fire suppression system to discharge, you can reach Code Three Fire & Safety 24 hours a day, 7 days a week for emergency fire protection services. No matter what time you call, we can have a qualified technician at your facility in Fairfield, Suisun City, Vacaville, Napa, Concord, Antioch, Vallejo, Pinole, Rio Vista, or any surrounding cities within one to two hours. Our technicians will have everything they need to promptly recharge and reset your system, so you can reopen for business quickly and cost effectively. 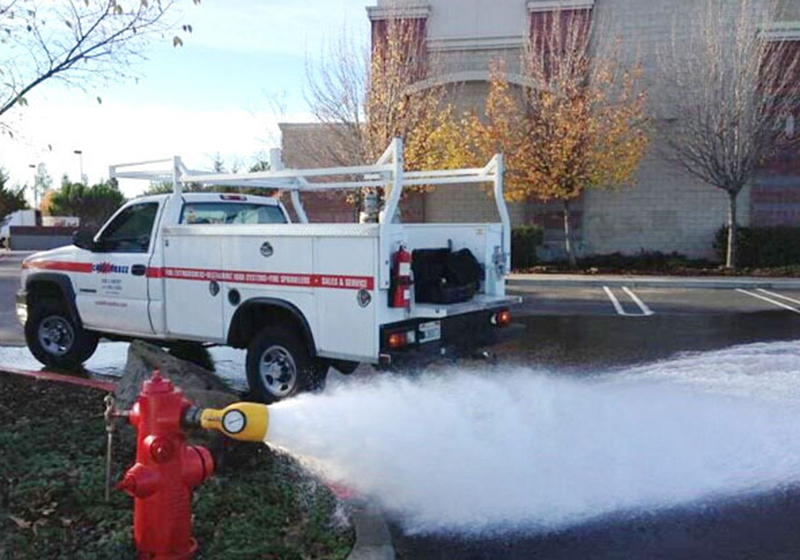 Code Three Fire and Safety completed this annual fire hydrant inspection for a Vacaville business. 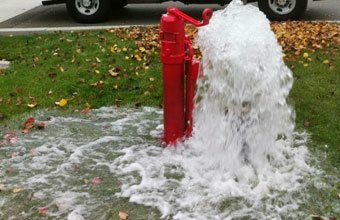 Annual fire hydrant inspections help ensure that you fire hydrant is working properly, and meets local code and insurance requirements. . . .
Our services include fire extinguisher sales, maintenance, repair, inspection, and certification to clients in Fairfield, CA and surrounding cities. 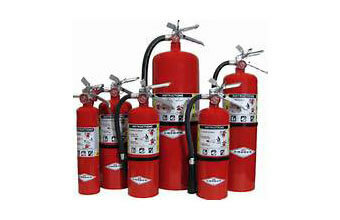 We also offer training and demonstrations for proper use of fire safety equipment. At Code Three Fire and Safety we offer expert fire suppression system design and installation for commercial clients including restaurants, food trucks, healthcare facilities, and auto body shops. Big Huge GYNORMOUS thanks to Code Three. Joyce is always very, very helpful! Eugene inspects our fire extinguishers every year and Kevin came to our rescue . . .